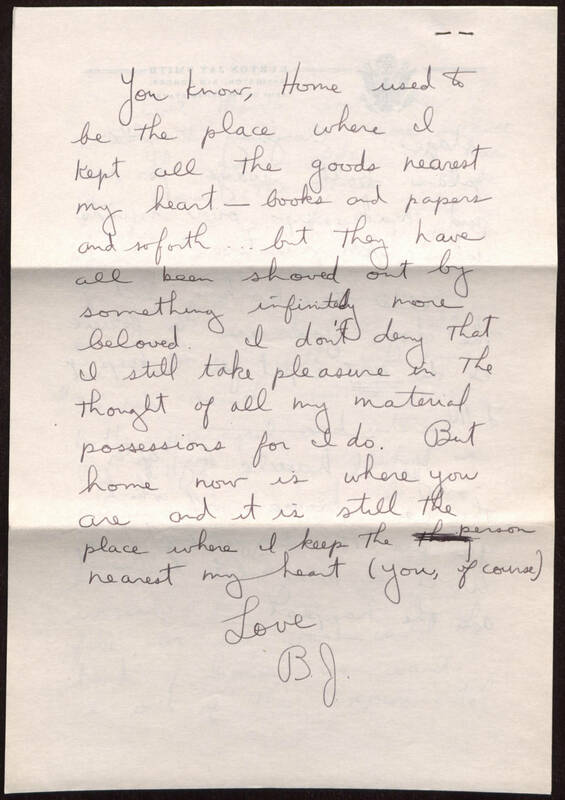 You know, Home used to be the place where I kept all the goods nearest my heart - books and papers and so forth … but they have all been shoved out by something infinitely more beloved. I don't deny that I still take pleasure in the thought of all my material possessions for I do. But home now is where you are and it is still the place where I keep the person nearest my heart (you, of course) Love B.J.